Walrus hunting. 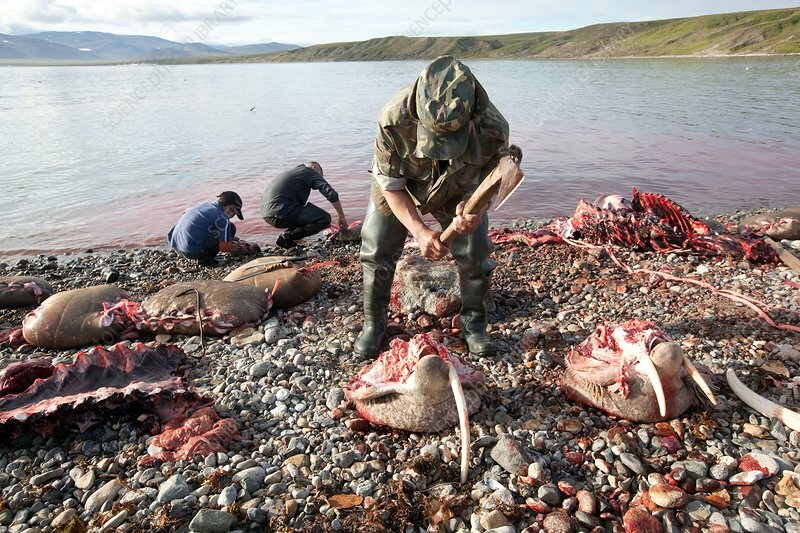 Hunters slaughtering walruses they have captured. The walrus (Odobenus rosmarus) is hunted only by small groups of indigenous peoples - here the Chukchi of eastern Siberia. Commercial hunting of the walrus is illegal. Photographed in the Barents Sea.